Scent: There's just something comforting about the smell of oranges that's...well...sweet! But Sweet Orange doesn't JUST smell good. The Sweet Orange Essential Oil we add can help you with a variety of skin conditions! 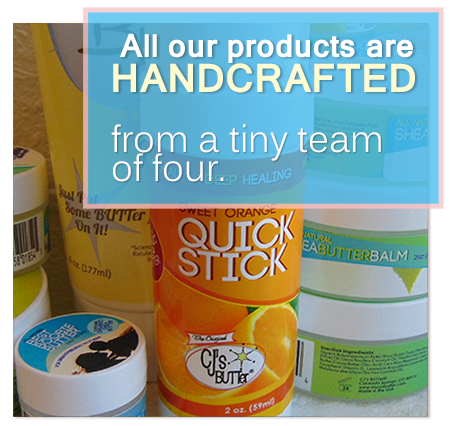 I've tried a few different CJ's products and the quick-stick is by far my favorite to use as a diaper cream, especially in the diaper bag. It's about the size of a small roll-on deodorant; small enough to be convenient but big enough to last a while. This particular scent is a nice light orange. Pretty perfect. You'll definitely smell it as it goes on but, like most citrus-scents, it fades faster than the heavier scents. I've personally always been a fan or orange and citrus in general, and as such I can be a little finicky about them, but this one is perfect.